A very nice and friendly Magic Convention, organized by the Magic Dealers Ron & Martin MacMillan. 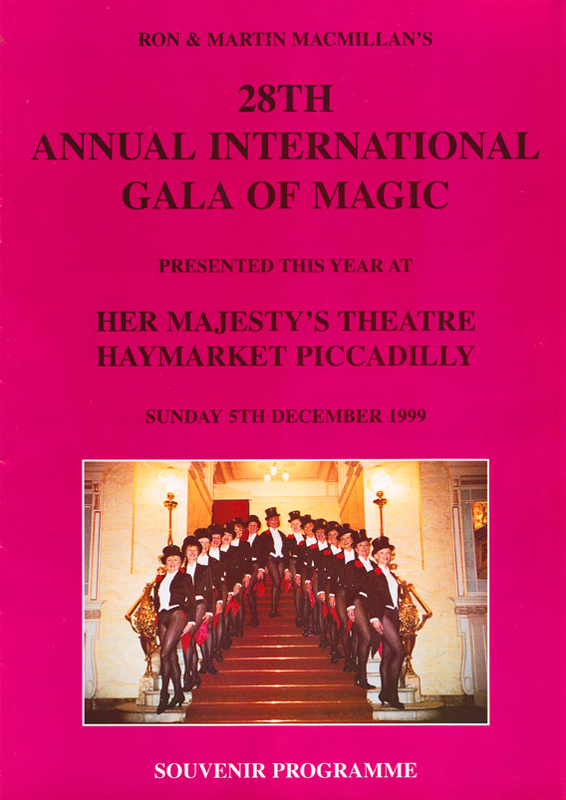 The show is held at the wonderful Her Majesty’s Theatre. On the bill: Ali Bongo (UK), Noel Britten (UK), Andy Gebhardt (Germany), Jeff Hobson (USA), Ardan James (USA), Harry Lorayne (USA) Omar Pasha (France), Russ Stevens (UK), Adam Williams (USA), Tommy Wonder (The Netherlands), Yuji Yamamoto et Mariko (Japan).